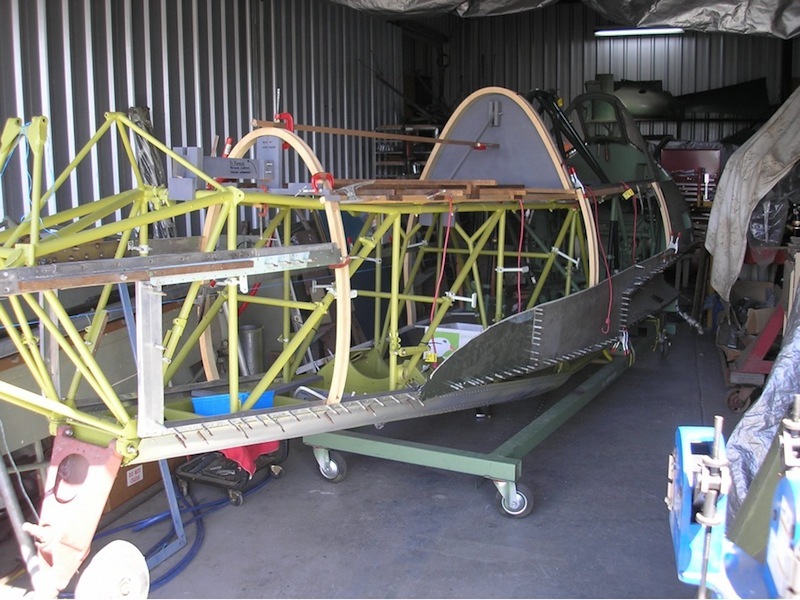 Visit of A46-73 from Coffs Harbour NSW, to Combat Aircraft Constructions for rebuild of Frame Standoff Brackets, Wooden Monocoque covering, and exhaust sheet metal work. 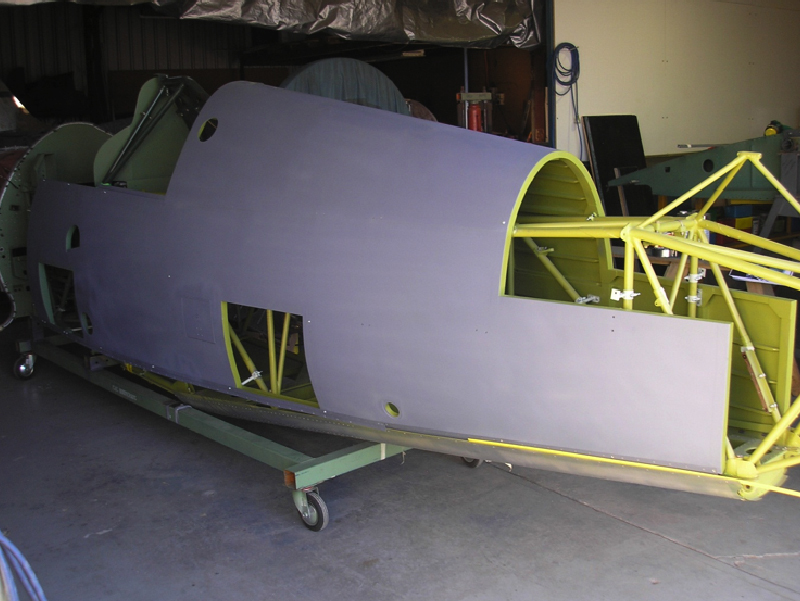 Commonwealth Aircraft Corporation (CAC) Melbourne, Aust. 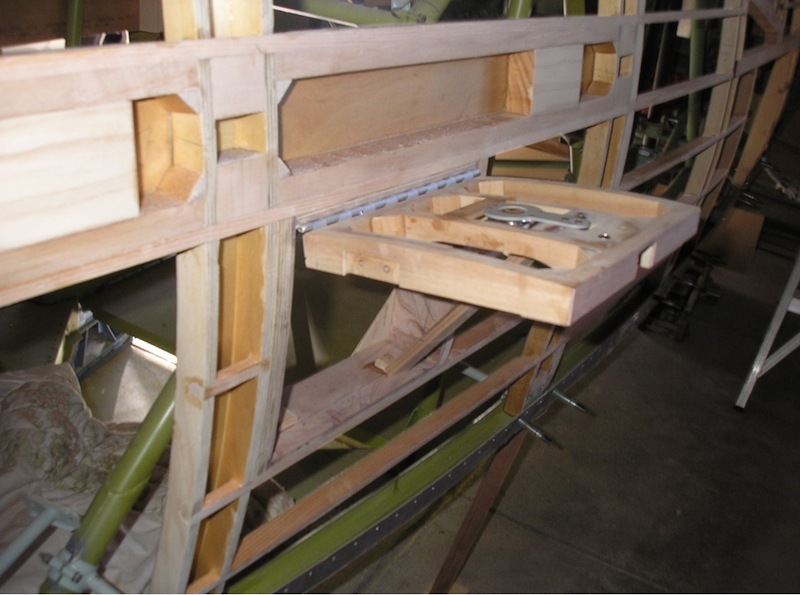 (85 Sqn Serial) SH, Aircraft letter ? 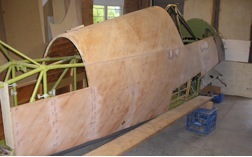 Test Flight March 1943 by Test Pilot F/L Greg Board. Issued CMV Oakey Qld Ex S.A.C. 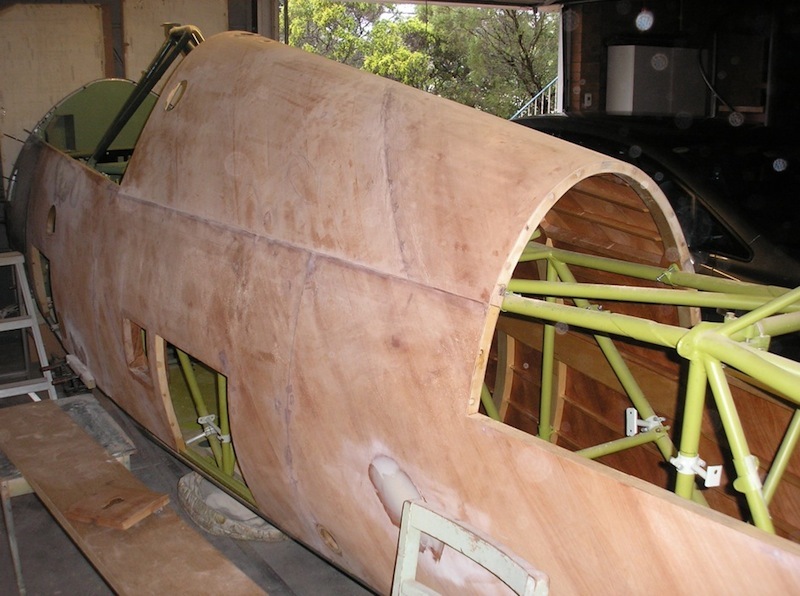 History unknown until shows up at HARS, NSW as restoration project. 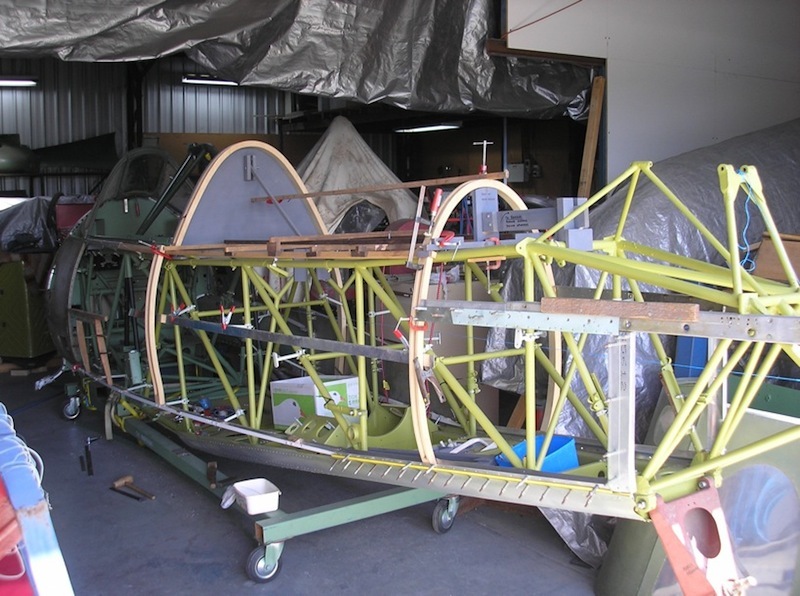 Purchased by Kent Lee NSW for restoration to flying. 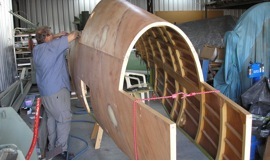 At Combat Aircraft Constructions, Brisbane Qld for Fuselage work. 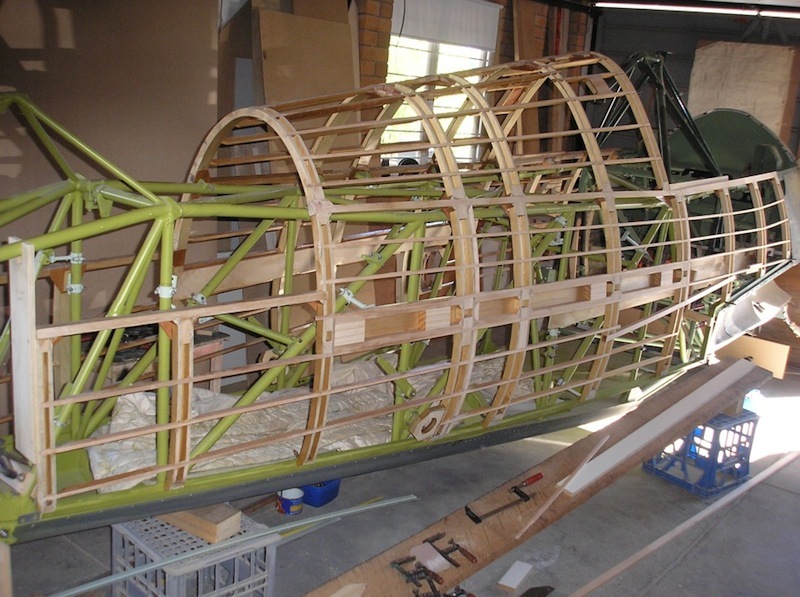 A46-73 - Port side of frame jigged up for construction of wooden monocoque covering. 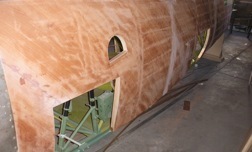 A46-73 - PStb side showing exhaust metal work panels as guide for woodwork. 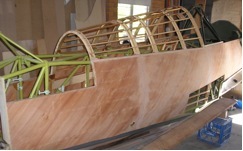 A46-73 - Frame work commenced by wood expert Ron O'Neil. 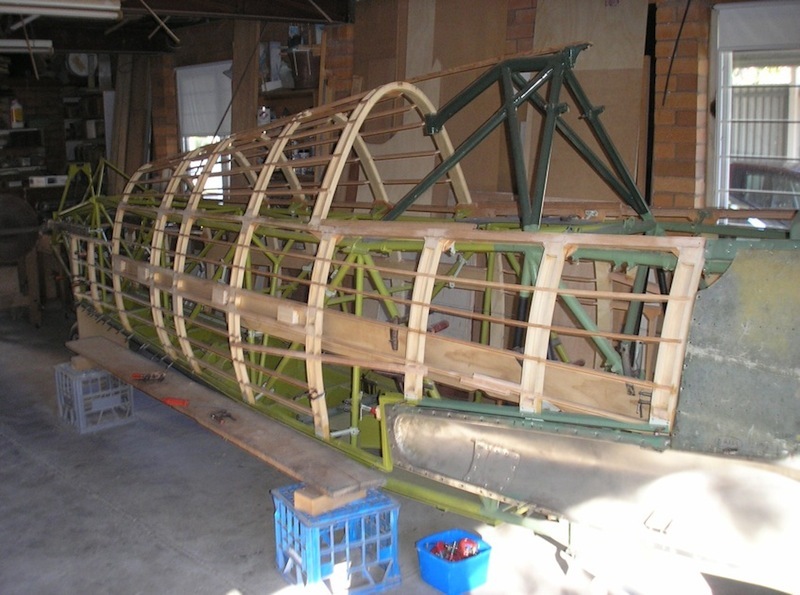 A46-73 - Frames glued and stringers going in. 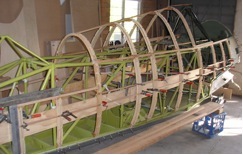 A46-73 - Frame ready for ply to be added. A46-73 - Lift up door now used for external power receptacle access. 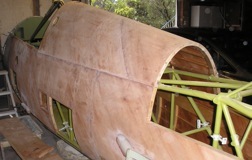 A46-73 - Lower ply skin attached. 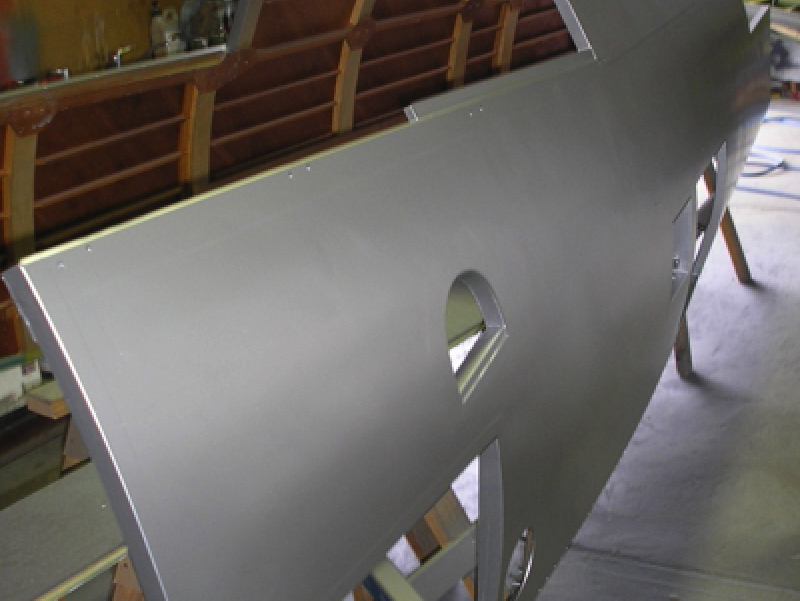 A46-73 - Door Access and footstep. 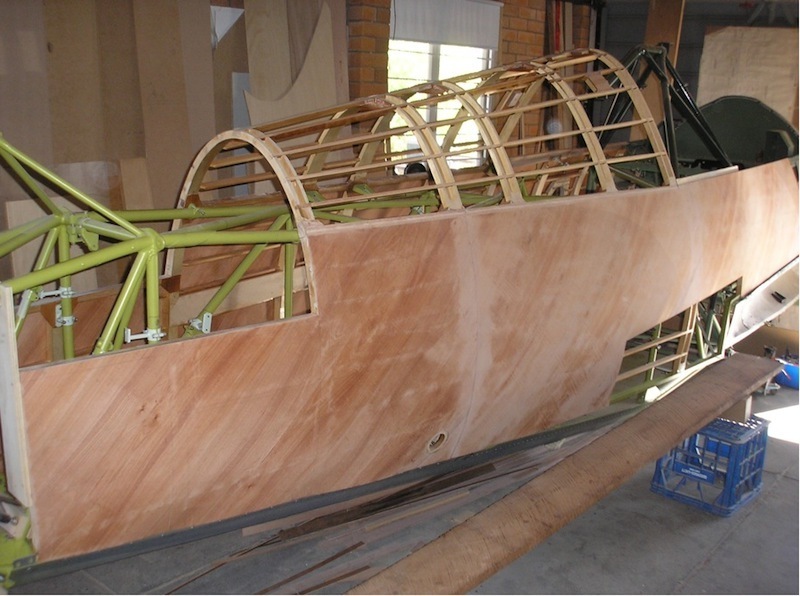 A46-73 - Port Side and turtle back now glued up. 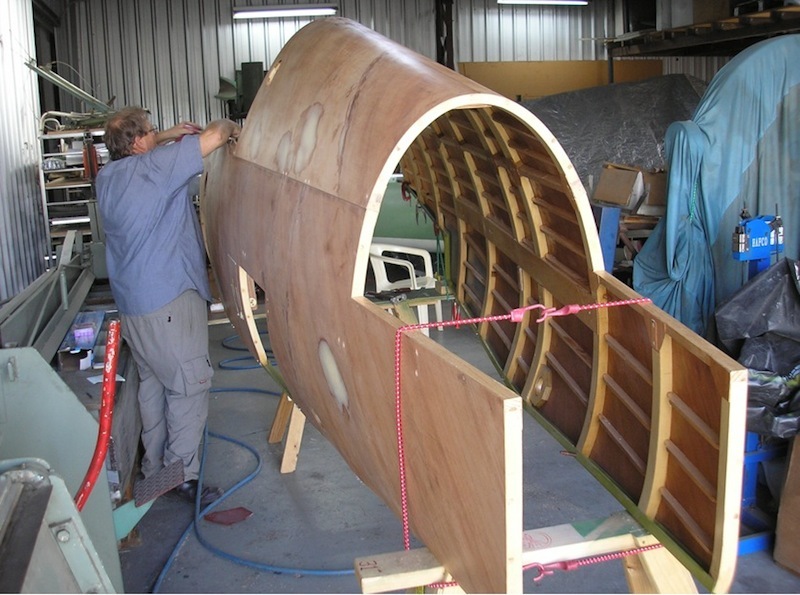 A46-73 - Drilling off and countersinking all screw attach holes prior to reattaching to frame for clothing to begin. 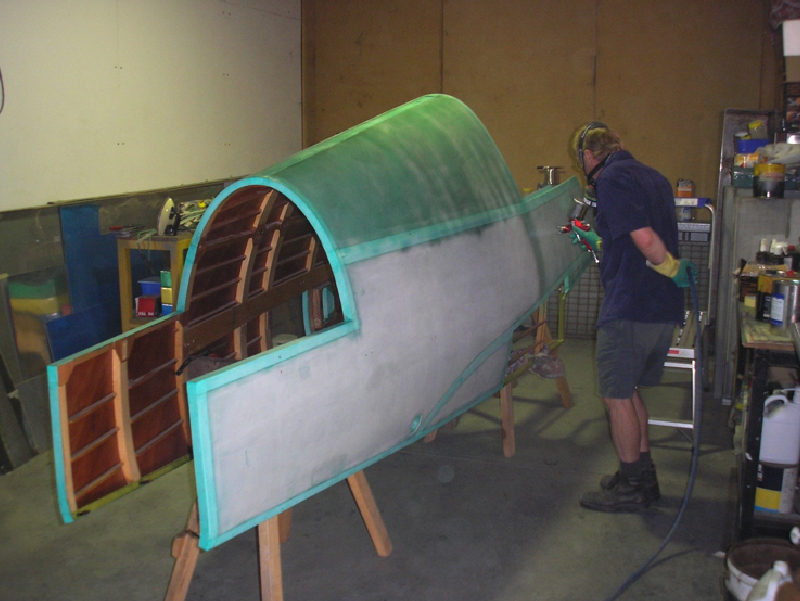 A46-73 - Masked up and sanded ready for Nitrate doping. 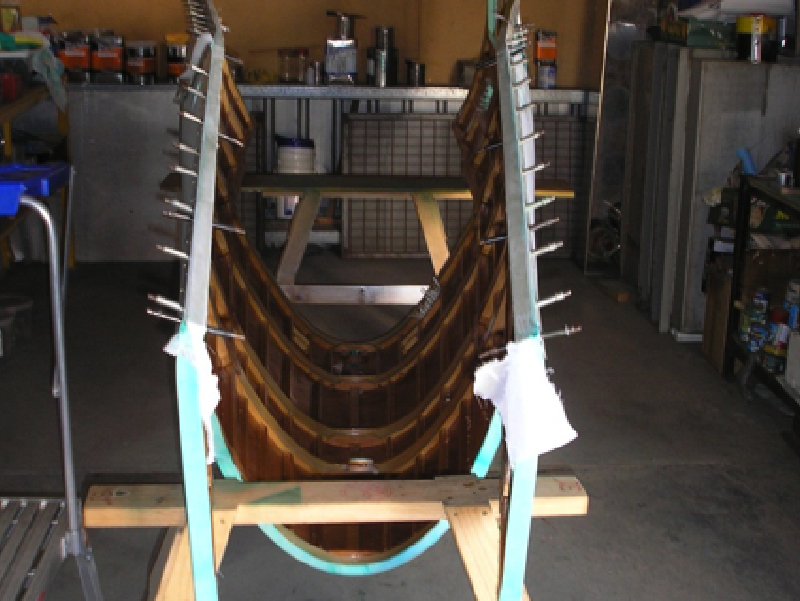 A46-73 - Setting the fabric ï¿½ applying tapes. 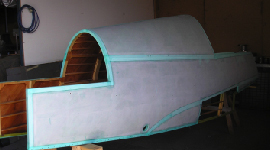 A46-73 ï¿½ Access doors all fabric taped. 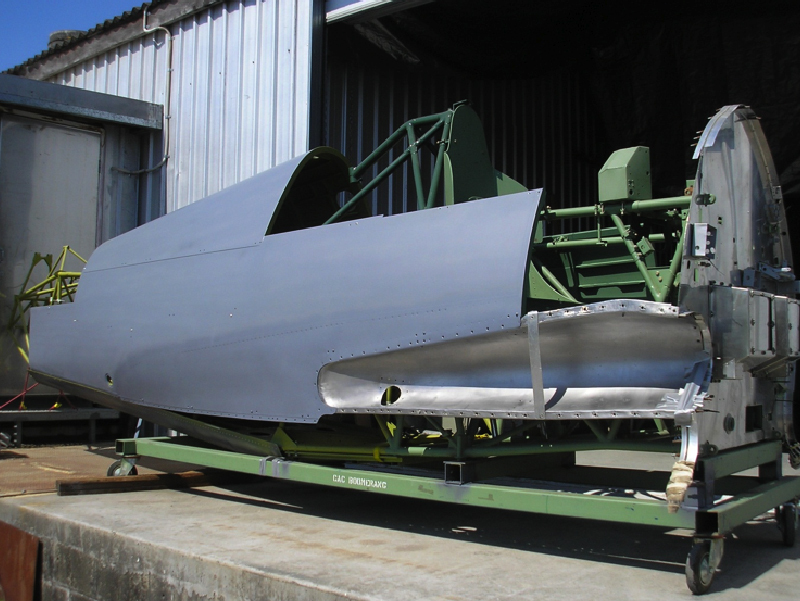 A46-73 - Shell removed from tube frame ï¿½ inverted for bottom edging fix down. 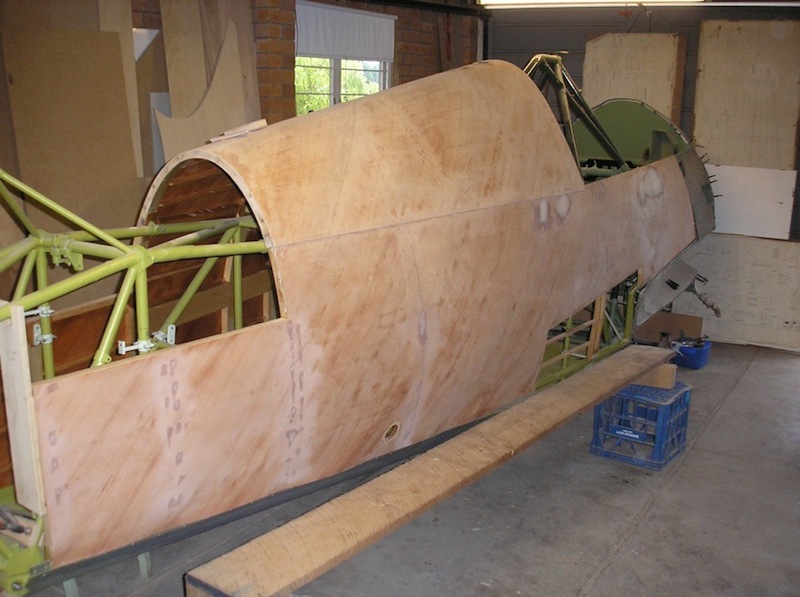 A46-73 - Shell inverted showing internal view from rear end ï¿½ fixing down bottom fabric edge. 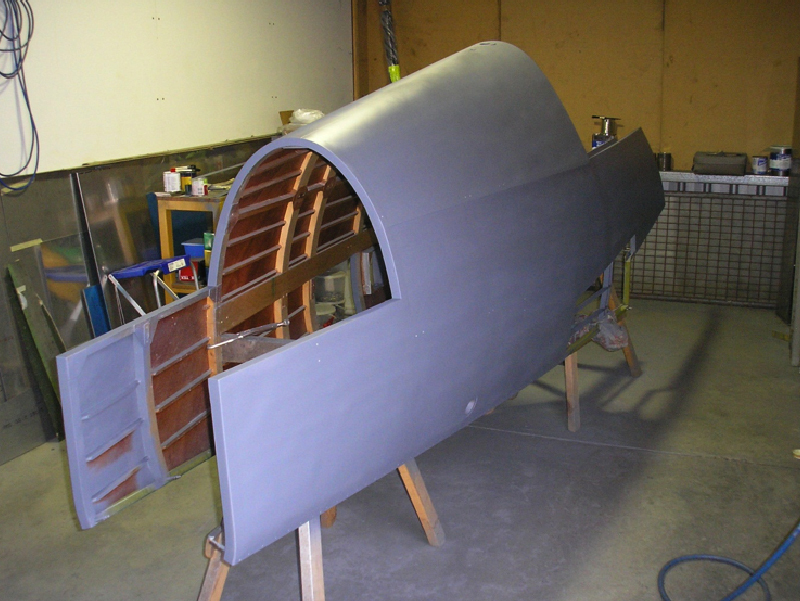 A46-73 - Starboard side of shell aligning metal work to tapes. 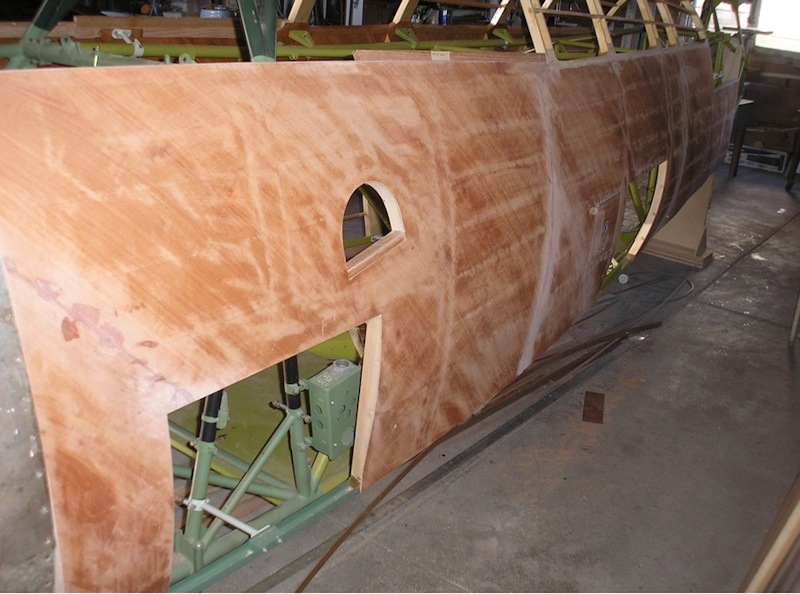 A46-73 - Applying dope through the fabric to doped surface underneath. 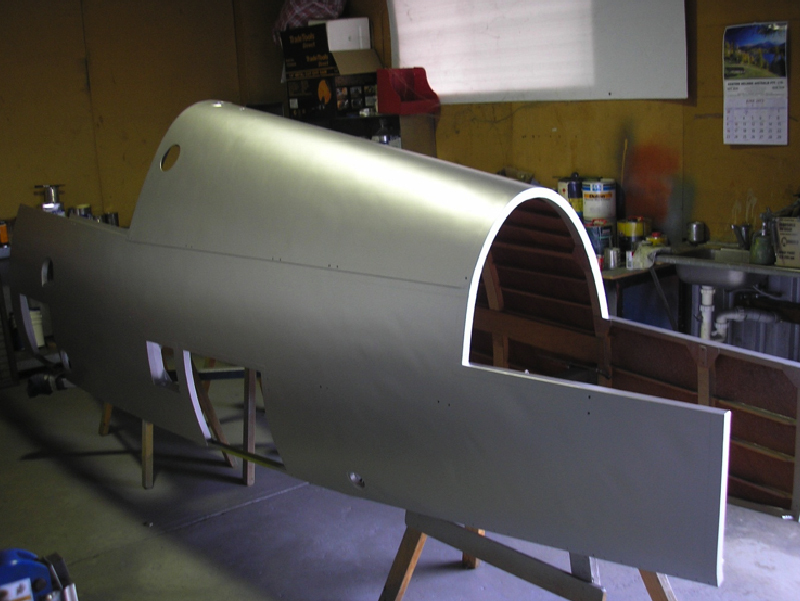 A46-73 - Shell Port side with 4 silver coats applied. 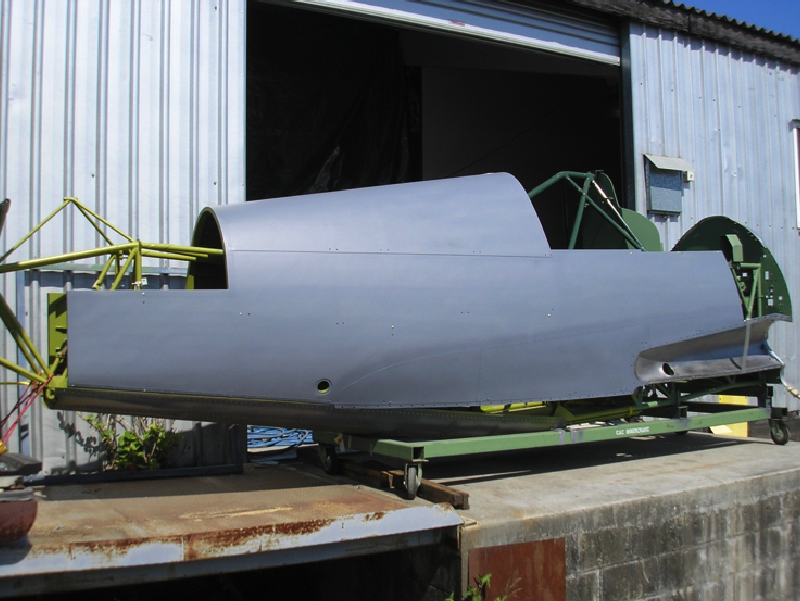 A46-73 - Shell port side from front silvered with screw attach holes visible. 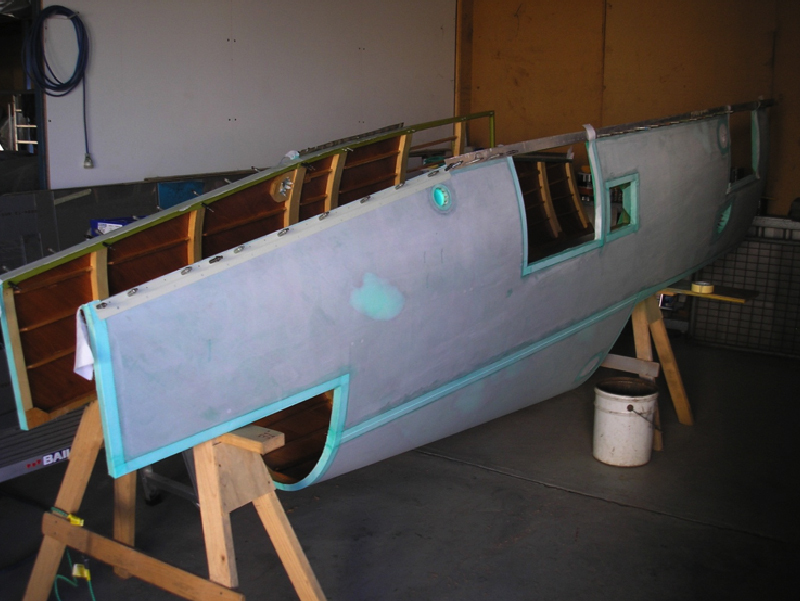 A46-73 - Shell now 2 pack epoxy primed over silver ï¿½ starting to prime internally. 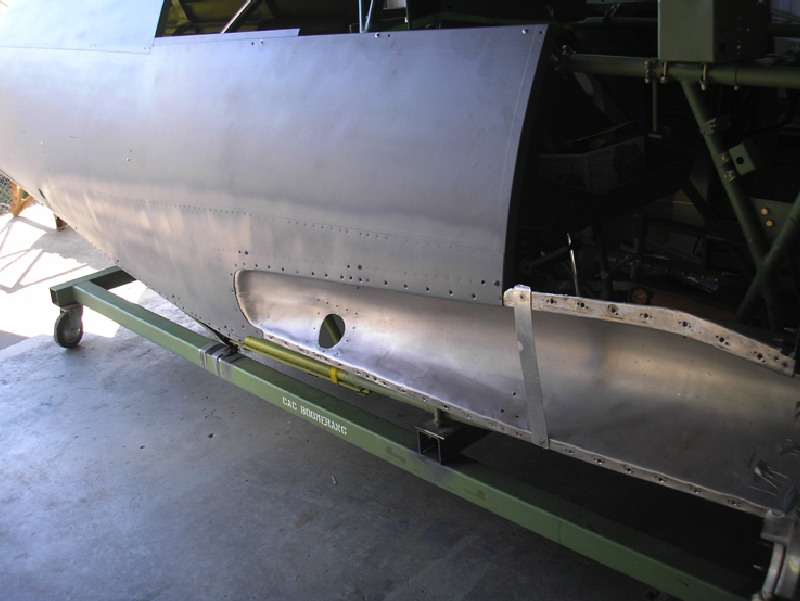 A46-73 - Exhaust Shields now riveted on ï¿½ C/S screws still to be inserted. 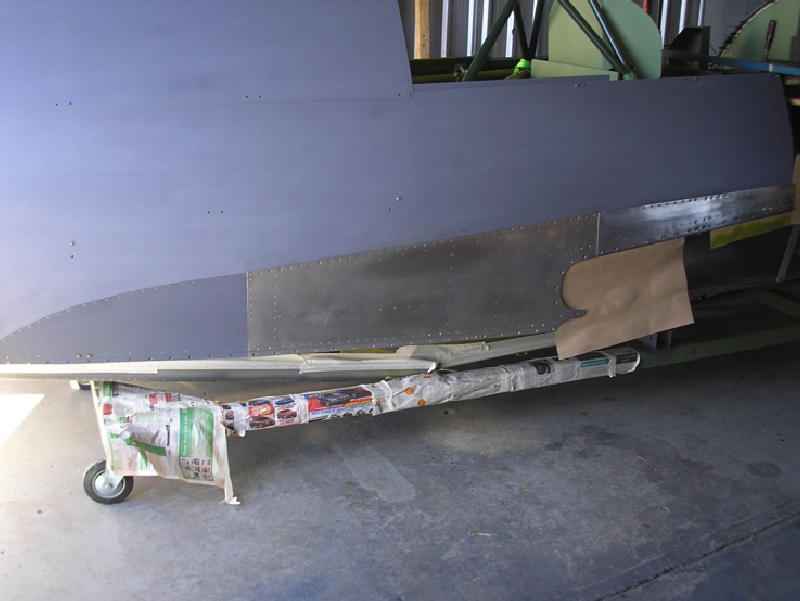 A46-73 - Fitting up reworked exhaust channel to drill off screw holes to exhaust shields. 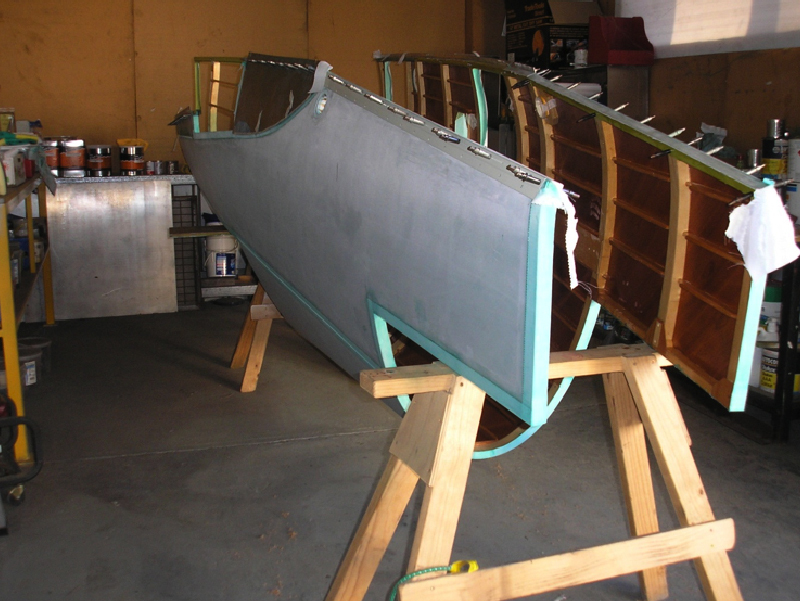 A46-73 - Exhaust shields completed (rivet and screwed) ï¿½ now 2 pack epoxy primed over. 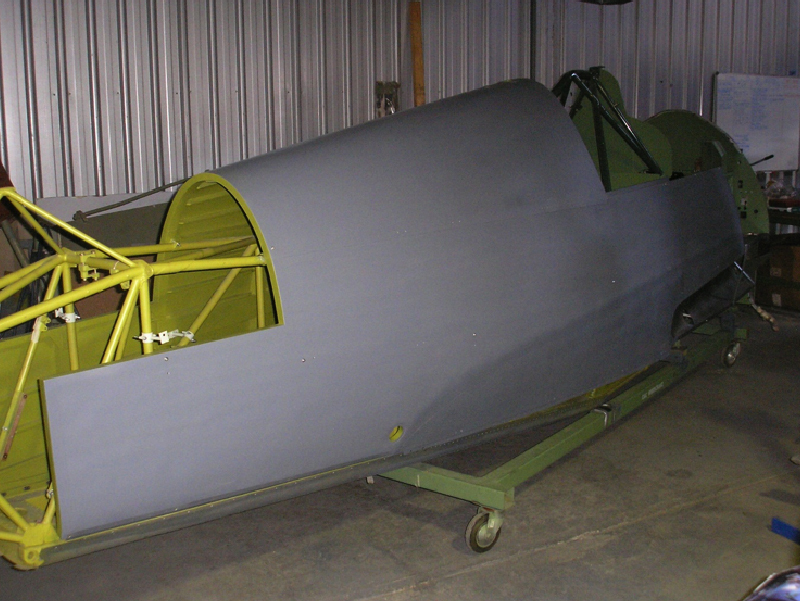 Internal of shell now painted cockpit green in cockpit and rear green through rest of shell. 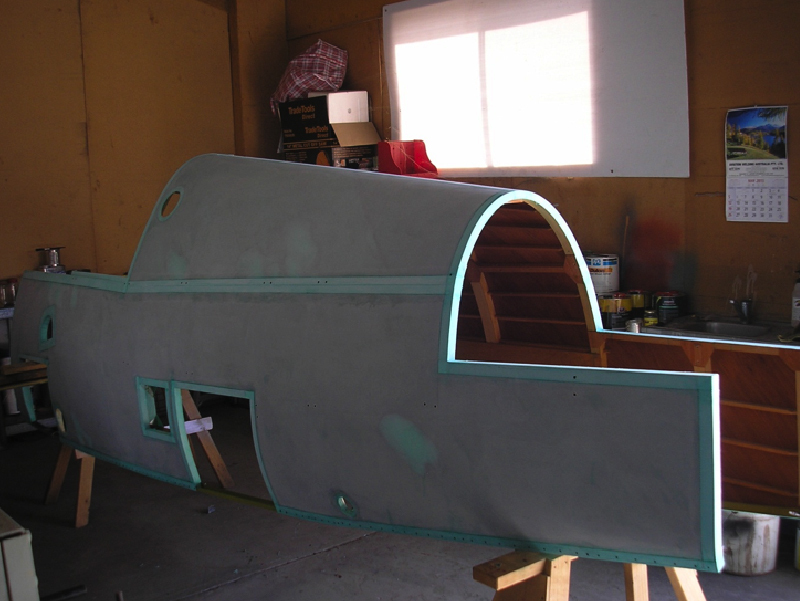 A46-73 - Rear view Stb Side. 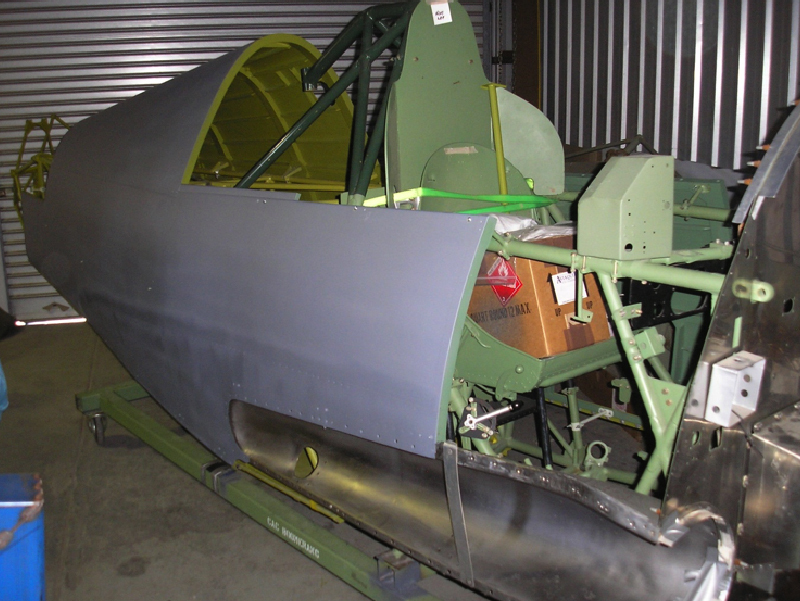 A46-73 - Rear view port side. 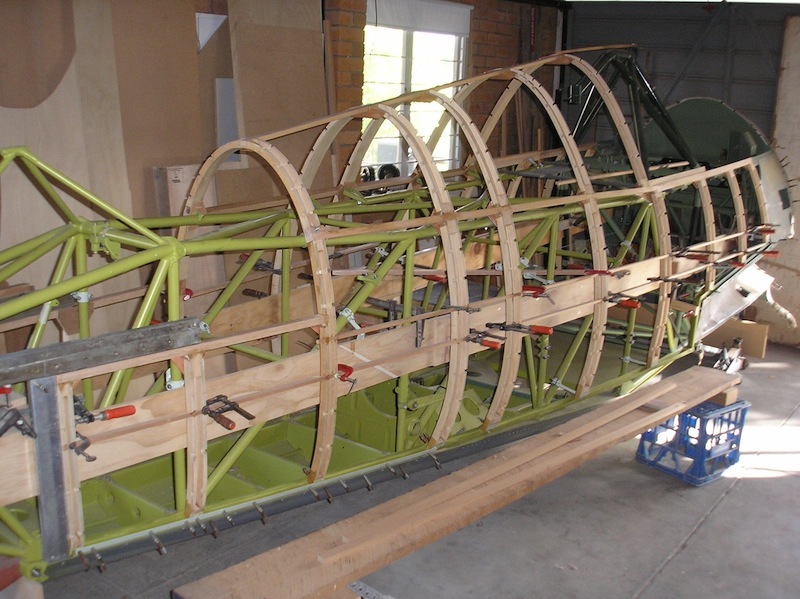 A46-73 - Readied for removal. 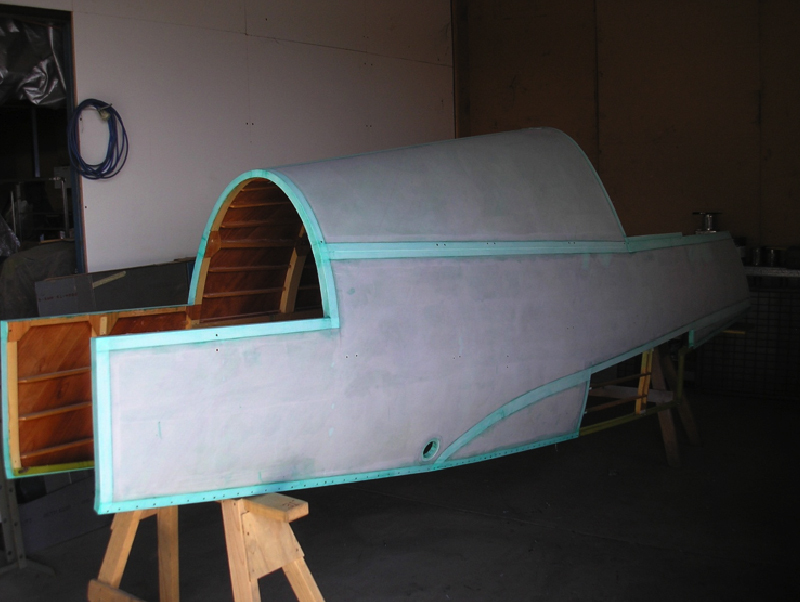 A47-73 - Fuselage was wrapped and tarped for road trip to home base. 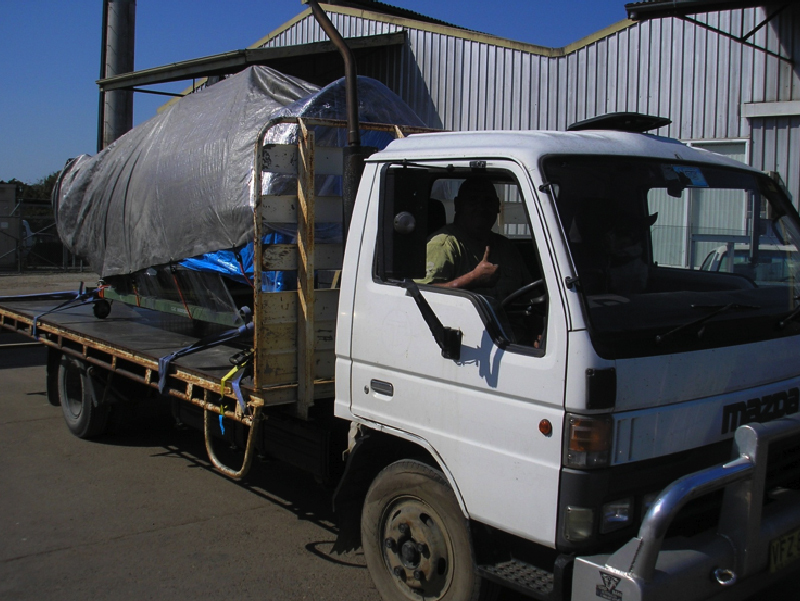 A46-73 - Heading home to Coffs Harbour NSW for further attention.